Can you believe it is already the last day of March? This year is flying by so fast that it is a blur to me. I never know which direction I am heading when I sit down to work on the Freebie Friday Stickers. When I am creating and designing I let the art speak to me. It is something that cannot be forced. I was in 4 different directions before finally deciding on the feature for this week. Mystical creatures seem to be very popular within the planner world. They are cute, bright, fun and can brighten up any planner. 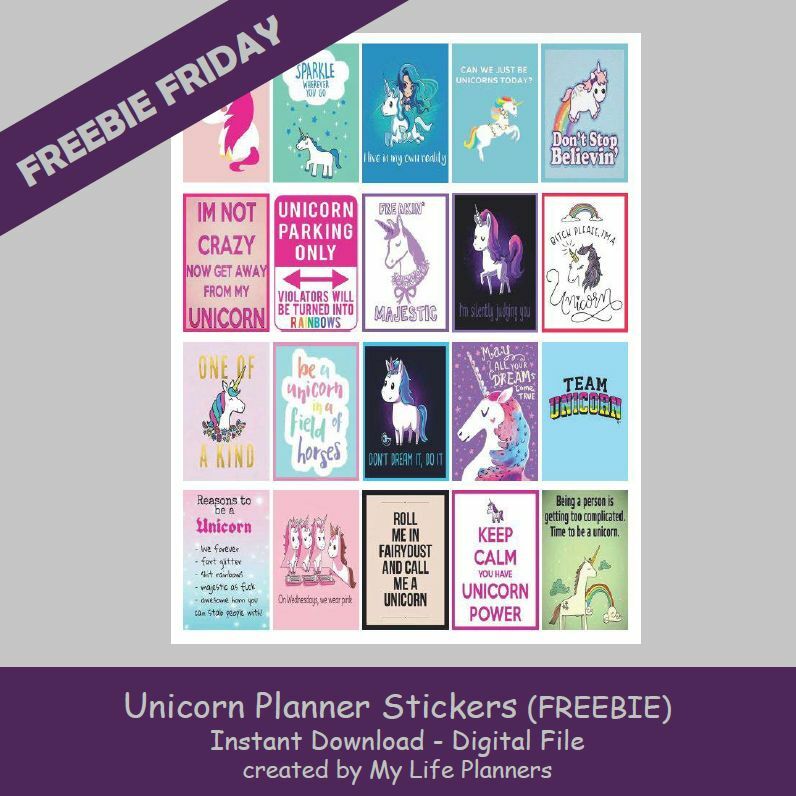 I guess you could say that I jumped on that train because this week’s Freebie Friday features Unicorn Planner Stickers. All you have to do is believe.